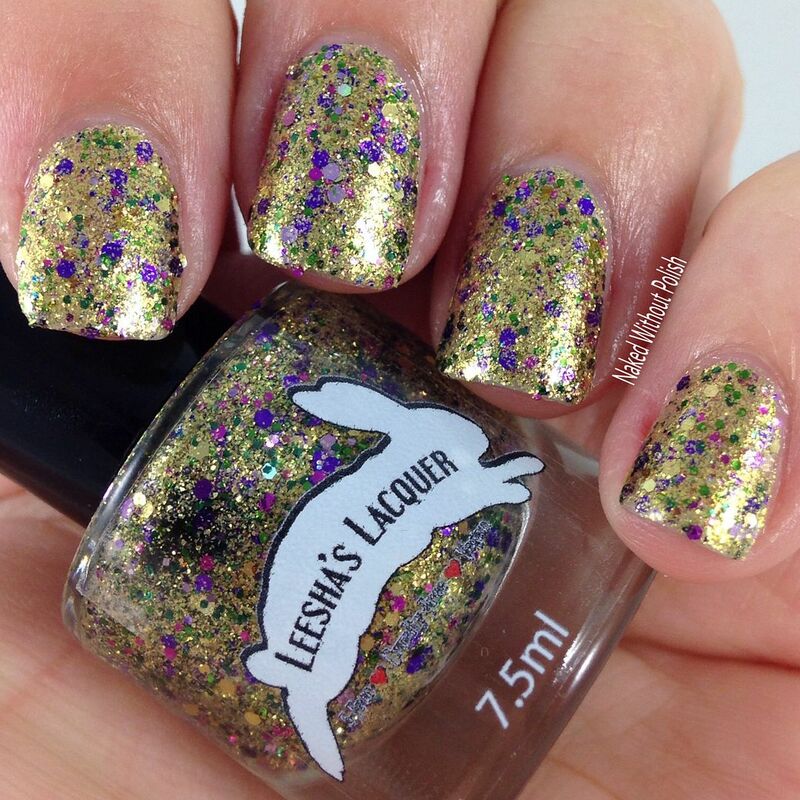 Alicia, the lovely lady behind Leesha's Lacquer, decided to jazz up her Mardi Gras inspired collection (pun intended). I give you, the Mardi Paws Trio. Yes! 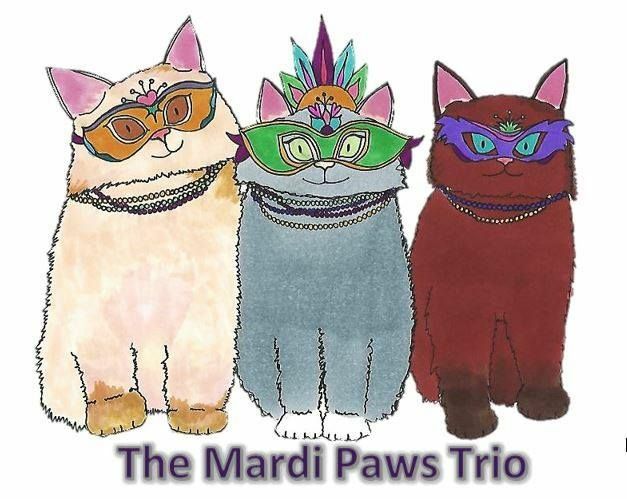 It is a Mardi Gras trio but with darling cat related names. She even drew the darling photo below to go with it! 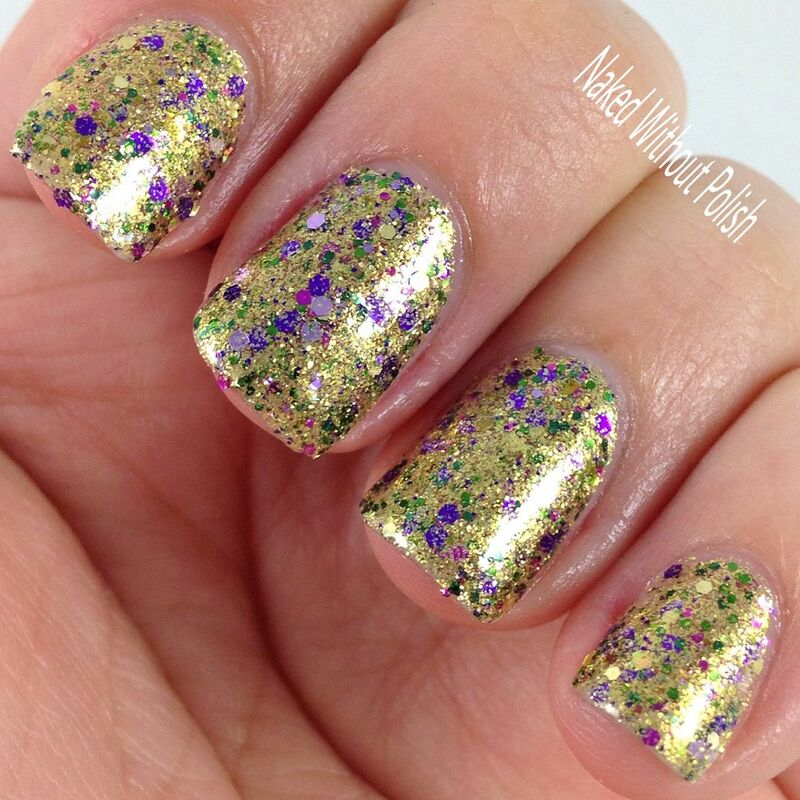 I've always loved the colors of Mardi Gras, but adding this twist just makes it even more fun. 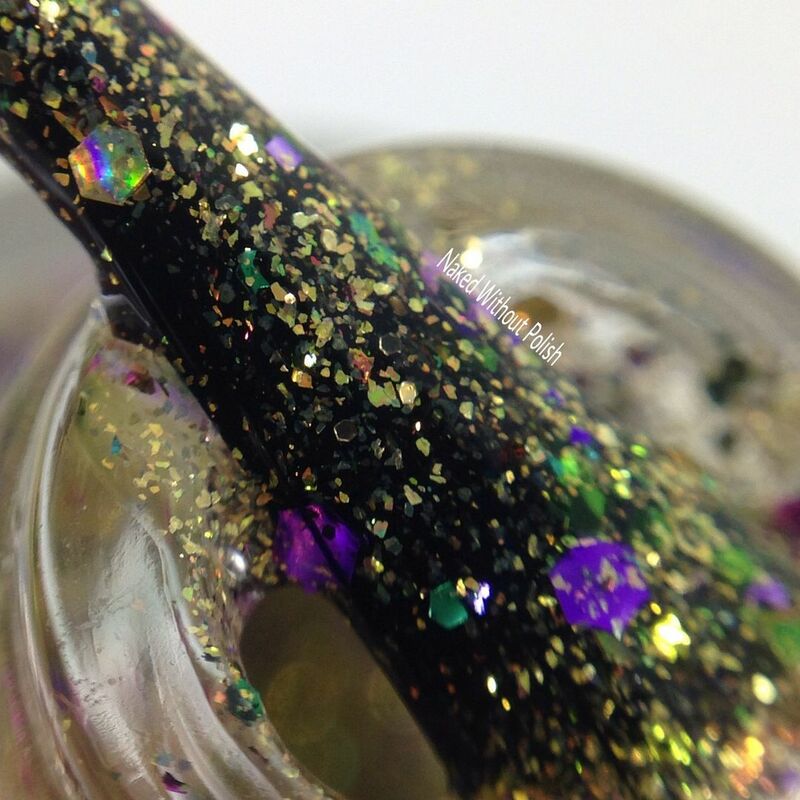 This set is being released to day so read up, check out the polishes, and get your wish lists ready! 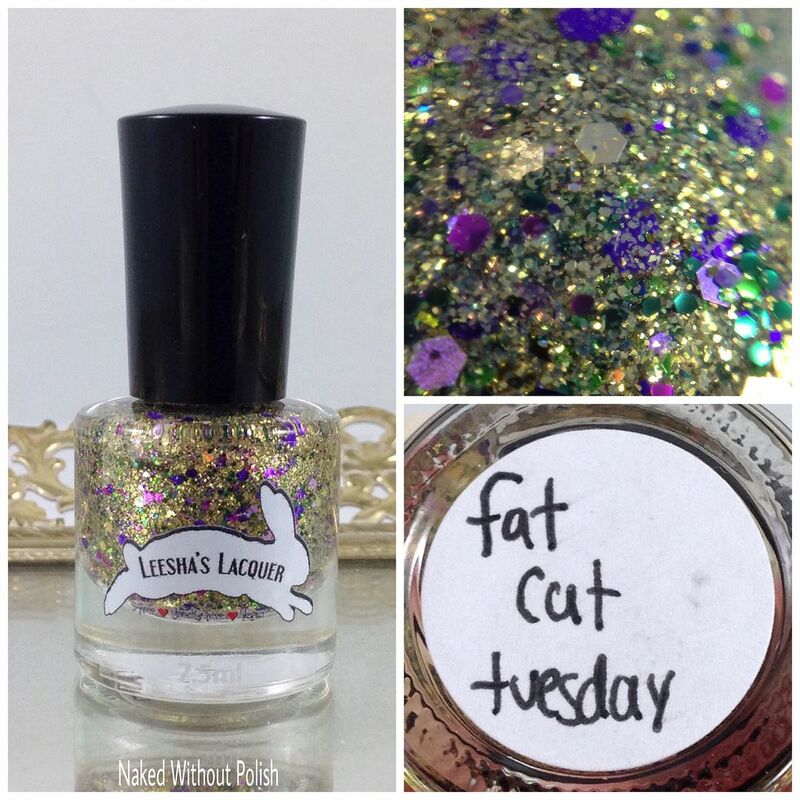 Fat Cat Tuesday is described as "a glitter bomb filled with green, purple, and gold metallic and holo glitter". Shown is three coats of Fat Cat Tuesday with top coat. 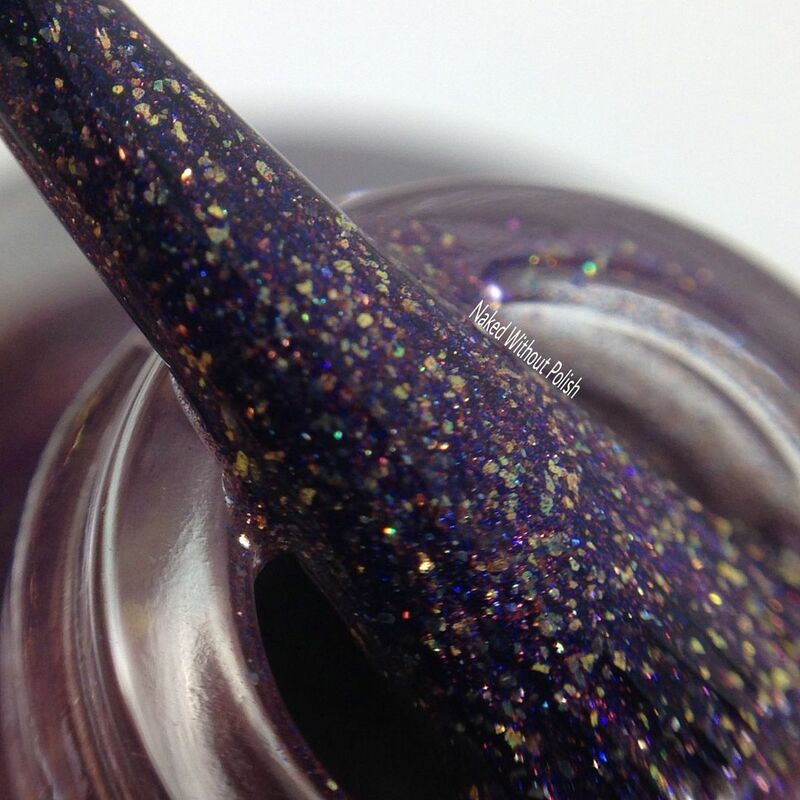 Fat Cat Tuesday could also be a topper, but it is seriously so much glitter that in three simple coats you get a fully opaque nail. 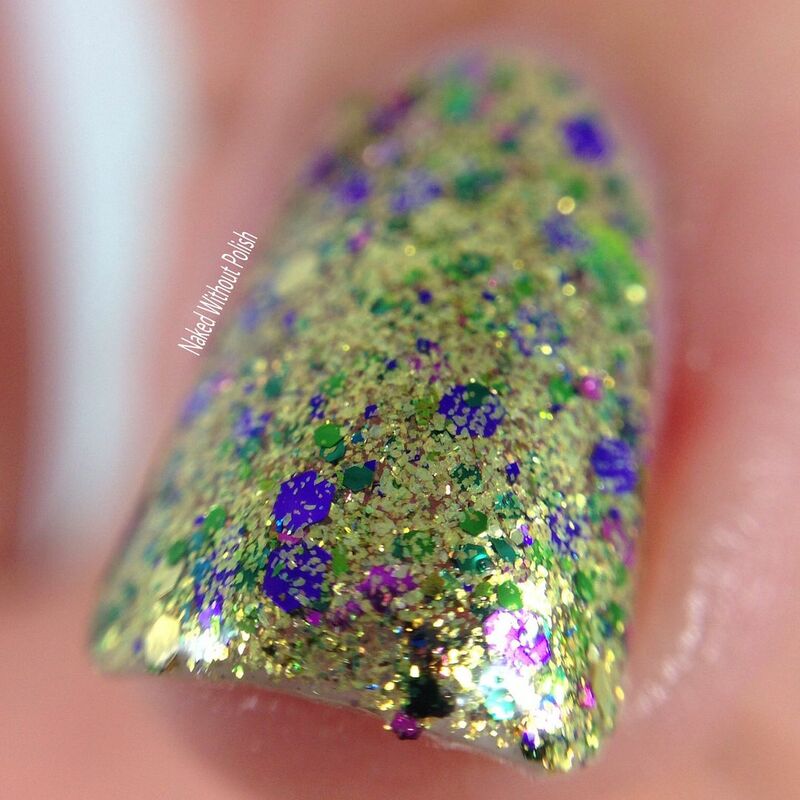 It applied smoothly and there was no fishing for glitter. It's absolutely stunning on its own! 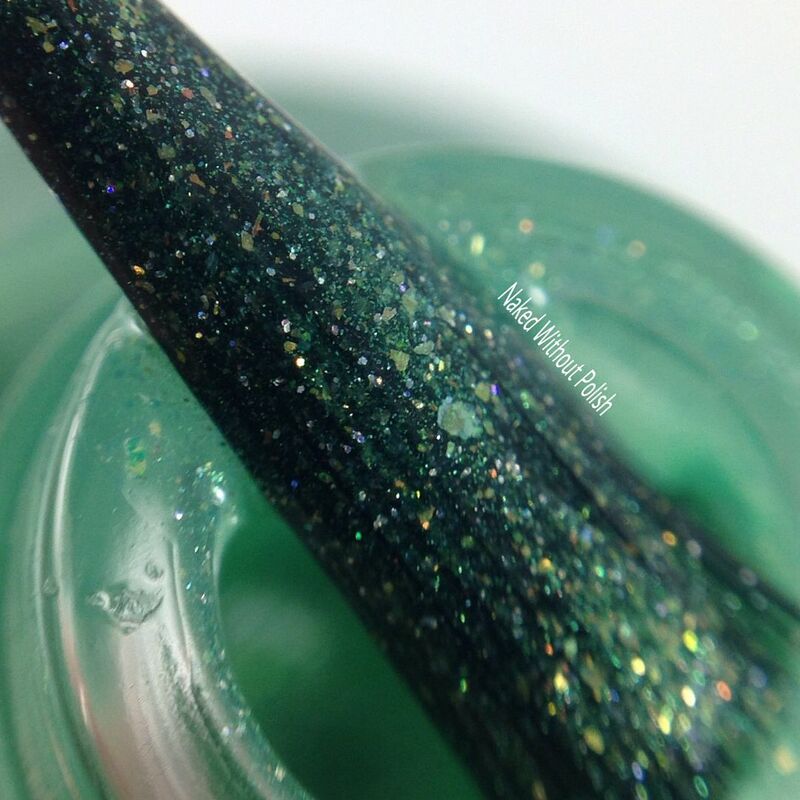 Krewe of Kittens is described as "a green to turquoise thermal with a dusting of holo and a hint of iridescent micro flakes". 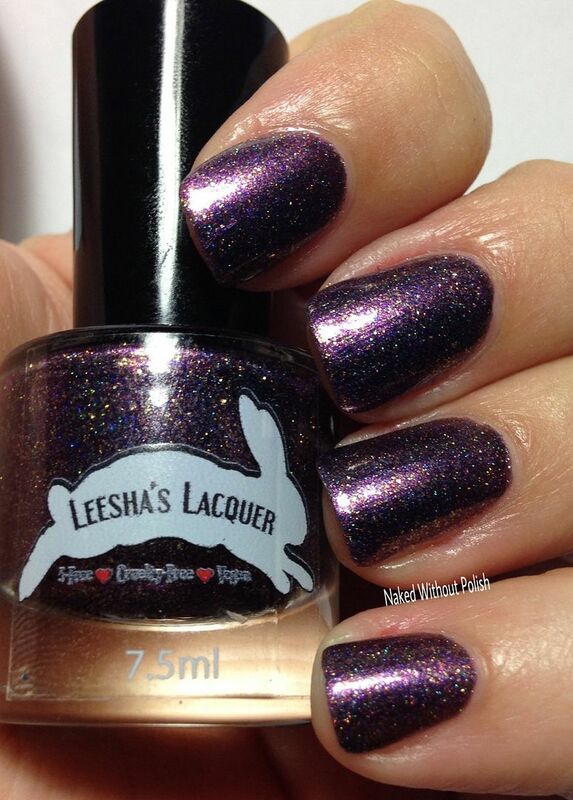 Shown is three coats of Krewe of Kittens with top coat. 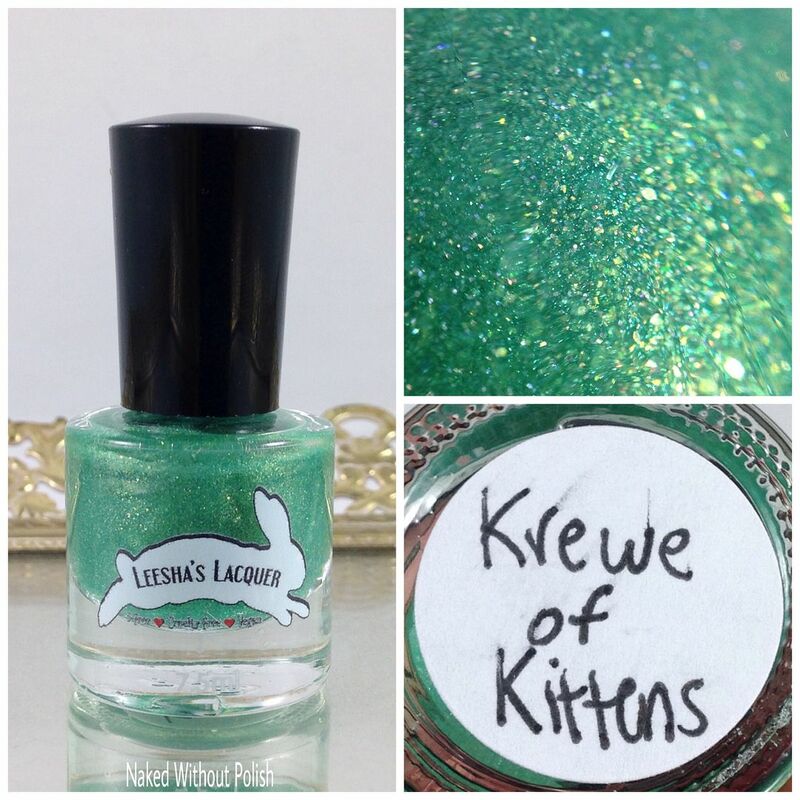 Krewe of Kittens is a beautiful shade of green. It is on the sheer side. It will require a minimum of three coats to reach full opacity. The holo is minimal. Don't expect it to be in your face. My polish didn't shift. She realized that the batch was accidentally near a heater and the thermal was deactivated. She has made another batch so that no one other than bloggers will get the bad batch. So, no worries! 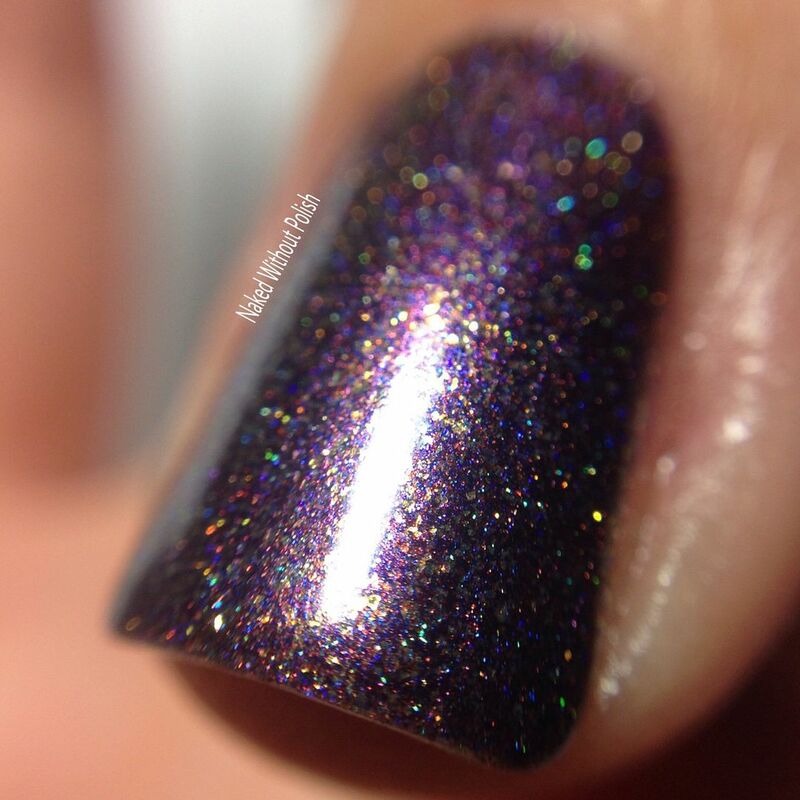 Purrade of Paws is described as "a purple with gold flecks and a scattering of holo". Shown is two coats of Purrade of Paws with top coat. 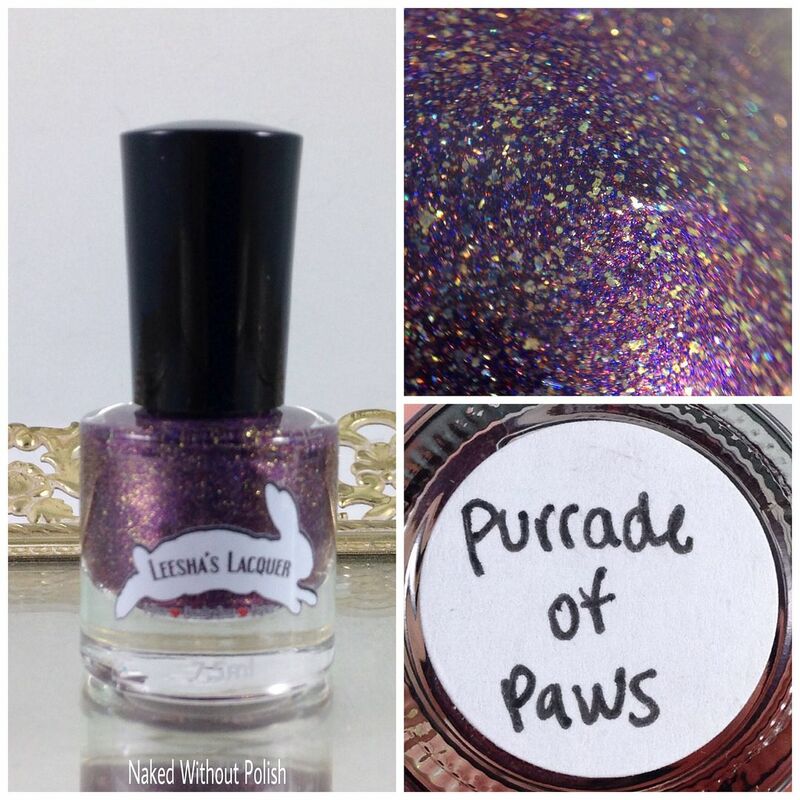 Purrade of Paws is a royal purple speckled with gold flakes and just a dash of holo. This one only required two coats to reach full opacity. 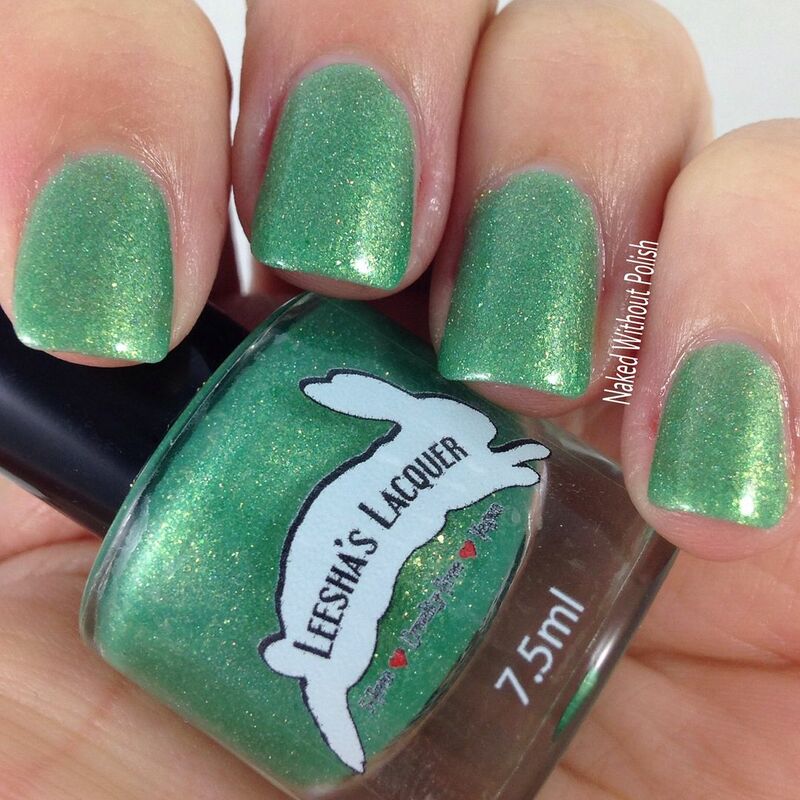 A fun and playful polish. This will for sure be a fast favorite for many. 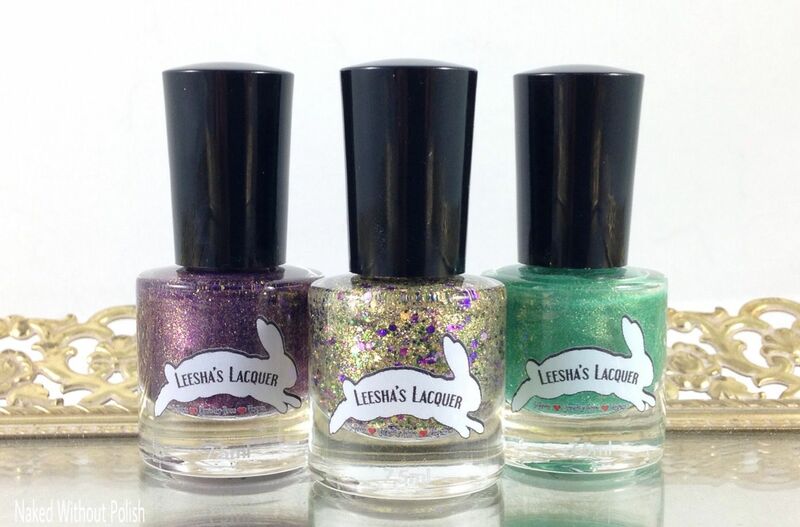 The Mardi Paws Trio will be available today at https://www.etsy.com/shop/LeeshasLacquer. The polishes will be available individually in mini bottles for $4 and in full sized bottles for $8, or you can buy the full trio in mini bottles for $10 or in full sized bottles for $20. If you buy the full set, you'll also get a sticker of the picture (shown above at the beginning of the post) that she drew. 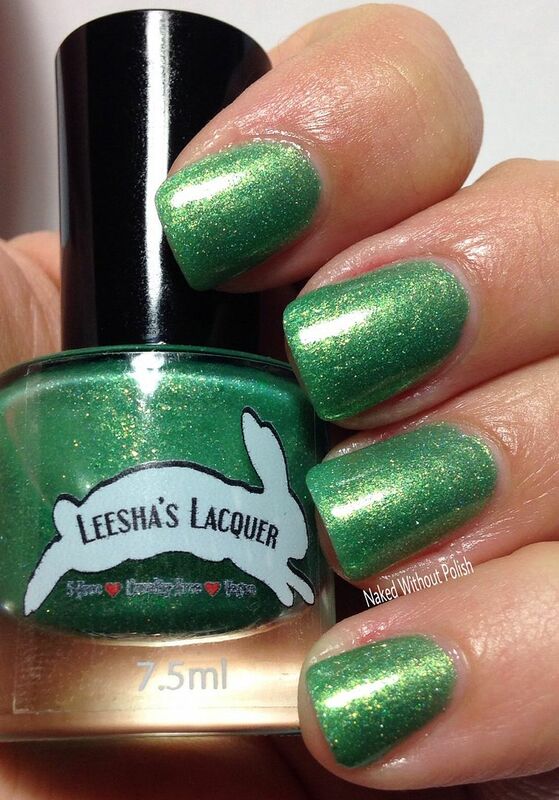 Make sure you are following Leesha's Lacquer on all of her social media platforms (links below) to stay updated on news, releases, and sales. You a fan of Mardi Gras sets? I love the twist on this one with the cat theme. Very clever.